Whatever your closet is filled with, these tips on how to protect your clothing will come in handy. Not only will your clothes last longer, but you’ll also have more money in your wallet to boot. Let’s face it, when you’re spending the day as a washerwoman/man, you just want to get it done. Sorting is essential to the laundry process, emphasizes Greg Thompson, director of laundry product marketing at Samsung. Yes, everyone knows to sort lights and darks—but sorting by different fabric types and degrees of dirtiness is often overlooked. Wash your sheets and towels separately to extend the life of your clothes. 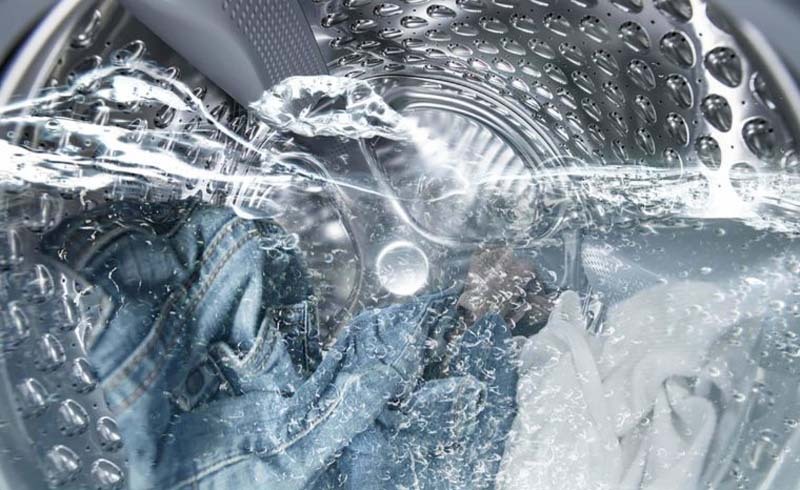 Caring for clothing with fabric conditioner can help your clothes last longer, says Mary Johnson, Tide & Downy principal scientist. “Just like a conditioner protects hair after shampoo, Downy conditions to protect clothes at the fiber level from damage during the wash,” says Johnson. “You wouldn’t skip conditioner after you shampoo—same goes for your clothing!” Speaking of fuzzing, turn your clothes inside-out to prevent pilling. When laundering delicates like silk and beaded fabrics, gentle drying is a must. Heat can destroy gentle fabrics like the lace of your undies and bras or the stretch in your swimsuit. Lay these items flat on a drying rack. If a garment’s care label deems it too delicate for the washing machine, consider hand washing the garment, says Johnson. Follow these steps: Fill a clean sink with cool water and add a small amount of delicates-friendly detergent. Let the garment soak for 15 minutes. Next, fill the sink with a fresh batch of cool water and add Downy Fabric Conditioner. Add the garment and lightly agitate the mixture for three to five minutes. Then, rinse the garment. Finally, remove excess water from the garment by placing it flat on a clean towel and rolling the towel with the garment inside. Repeat as needed until garment is only slightly damp. Making the mistake of not reading the care label can turn tragic. Because this is critical, Johnson will tell you again: The very first step to maintain the longevity of your clothing is following the instructions on the care label. Always reference the garment’s care instructions and wash and dry accordingly. 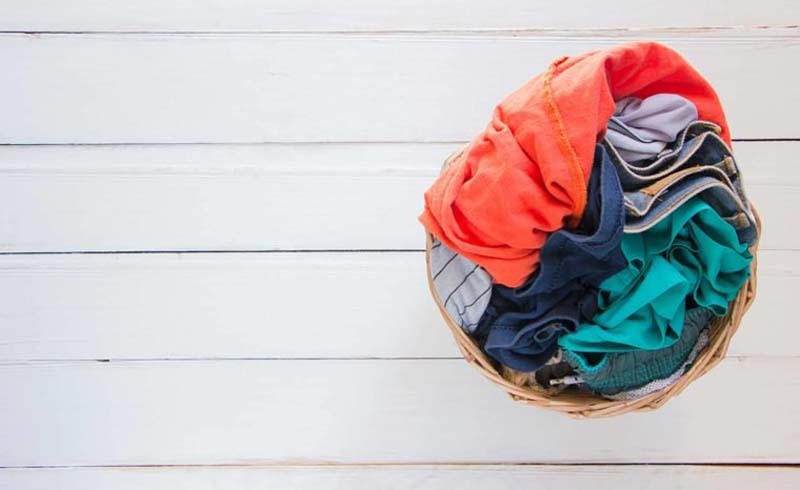 Teen Vogue points out that many of your workout or athleisure clothing—particularly anything with wicking powers—should not be washed with fabric conditioners if you’d like to keep the textile’s performance benefits intact. Further, workout wear should be washed on cold/gentle, inside out to avoid pilling, and in a load with other synthetics. Velcro is the enemy to knits and other delicate fabrics, as it can easily grab and pull on fibers. Just one Velcro-caused rip or tear can make a clothing item unwearable, so take caution with garments like Velcro-fly ski pants, accessories like messenger bags, or baby bibs—be sure to fasten those before washing, and put in the laundry with items that won’t be affected if they come in contact with the Velcro. Putting away your clothes is tedious, but having to buy new clothes when you’ve ruined perfectly good ones is worse. Get smart about folding and hanging—and take the extra couple of seconds to fold trousers on the crease, or to secure the top button of a button-down shirt (this, according to Stylecaster, helps avoid collar creases). Hangers also make a big difference: Take the awful metal versions back to the dry cleaner for recycling, and replace them with slim velvet versions. Also, don’t forget to always fold sweaters, because hanging will stretch them.